A dynamic and innovative practice built on traditional values of professionalism and client care. 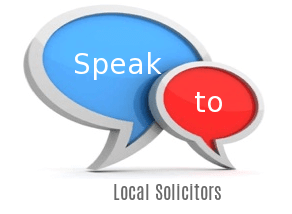 They have an experienced team of dedicated Personal Injury Lawyers ready to offer you clear, straight forward advice. HCB Widdows Mason are a dynamic modern law firm based in Cardiff Bay. They offer fixed fee services to their clients with a free initial consultation. Parking and disabled access is offered at their offices. They handle: Wills and Probate, Residential Property, Power of Attorney, Legal Services, Conveyancing, Commercial Property. Anmesty are located 5 mins from the station, centrally located near the Stratford Centre and Westfield shopping centre. Train access from central line, Jubilee, TFL Rail, DLR. No disabled access I'm afraid, but if you need to call out of hours the number is 079 4333 13 55. For Medical Complaints and Claims You Need a Specialist. With offices in Cleckheaton and Wakefield, Williams & Co Solicitors focuses on providing a cost-effective, high quality legal service for both individuals and businesses. Plenty of public parking next to site with wheelchair access. Whitestone pride themselves on being the friendly face of legal services, with down to earth, straight talking Rochdale solicitors. Their experts make it a priority to explain exactly what is involved in your case and to keep you informed. Whether you're buying a house, accused of a crime, or updating your will - they aim to provide an expert, professional service while remaining friendly and approachable.